Being a fan of British-Indian restaurant food, I cling like a limpet to the utterly essential book, The Curry Secret. 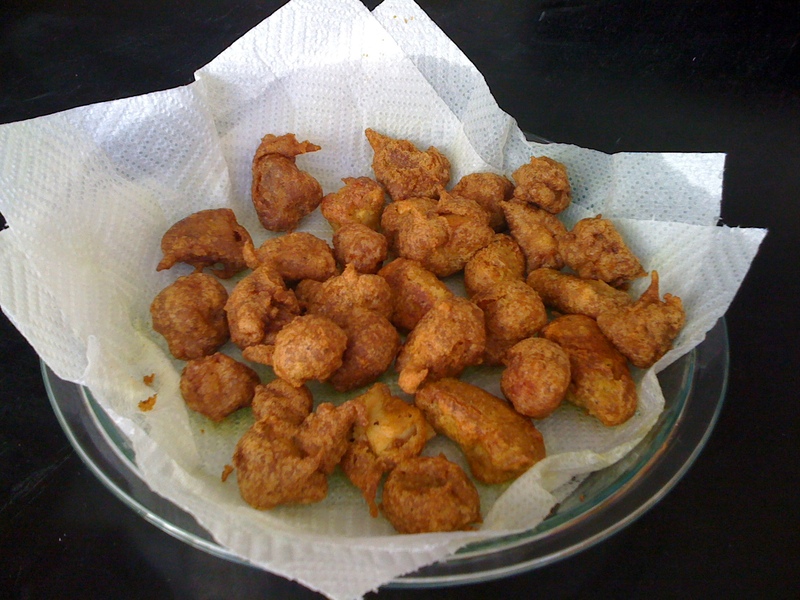 While it gets me 99% of the recipes I want, a notable exception is Chicken Pakoras. These chunks of juicy, tender, gently spiced breast meat, wrapped in golden, fluffy, beautifully seasoned batter, are one of my favorite occasional treats when we head to our local curry house. Read on for my successful jazz-cooking recipe, and a 3d photograph of the food itself!